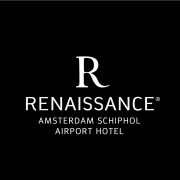 The Renaissance Amsterdam Schiphol Airport Hotel is a stylish and innovative new hotel, to be opened September 10, 2018. And we are looking for YOU! Our Renaissance Front Office Supervisor is an example for the team in welcoming our guests with a friendly, authentic approach, creating a unique and personalized guest experience. You ensure a smooth running of the day-to-day operations in our Front Office, next to training, coaching and supervising the team in an inspiring and enthusiastic way. Together with the Front Office Manager you will conduct performance reviews and make schedules.